Need a hand? Use ours! Need a Ride? Let AAY drive you! Sometimes all you need is a friendly face and gentle touch. Our companions can help by being there when you can’t or just as a pleasant diversion to add to the day. Our professional nurses are available for hands-on nursing care when you need them. They can perform skilled nursing activities not covered by your insurance: pre-filling medication planners, drawing blood specimens, changing dressings, giving injections and other skilled activities that may become necessary. 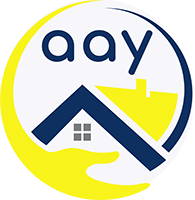 All About You specializes in assistance to Veterans living at home or with family members whom need help with activities of daily living. We can also can aid with transportation, shopping, homemaking and provide respite care or nursing services. Keeping up with household chores and other household management tasks can be challenging. Our home helpers are here to assist with general housekeeping, shopping, cooking and menu planning, picking up prescriptions and cueing medications, caregiver respite, transportation and companionship/home supervision. When hand-on direct care is needed, our licensed and certified personal care aides are excellent caregivers. They can assist with bathing, dressing, toileting, transferring walking, home exercise plans, and cueing medications. They also can do homemaking, caregiver respite, transportation, and companion/home supervision activities as part of your care plan. We can help in those cases where all that’s needed is a ride and a helping hand to get something done- whether it be a doctor’s appointment, a visit to the hairdresser, grocery shop, or go out to lunch or for an ice cream.